If you’re a photographer planning an extended trip or a month-long getaway, these items will make your travels easier, safer, and a little more enjoyable. No need to check a bag if you have these space-saving camera necessities! As of now, these 5 accesories should be with me on my global travels in 2016. Between your clothes, your camera accessories, and you daypack, most travel photographers end up checking multiple bags on flights and hauling a mountain of luggage between hotels. Not only is it horribly inconvenient to carry all these items in separate bags, it’s also unsafe. You (or the airlines) are more likely to lose one, and you stick out like a sore thumb wherever you go. When you can’t sacrifice gadgets or clothing, you need the Elite Hiker Backpack. There’s a compartment for your camera and gear, and a compartment for all of your personal items. And an added feature is the padded camera compartment that easily adjusts for almost any size DSLR. It’s tough justifying packing a tripod on an expedition or a vacation. That’s why a Gorilla Pod might work well for a traveler, and you can mount it virtually anywhere. Make sure you get the one with a ball head for quick camera leveling and increased mobility. These little crazy legs will save you from the nerve-wracking attempts to stabilize your camera on a rock, or the alternative–lugging an extra 5lbs on your back. If you’ver ever carried around 800 photos from five different countries on one memory card, you know what it’s like to protect something the size of a quarter with your life. Backing up your photos is one of the most important rituals every photographer must do. With a photo backup drive, you don’t need to keep all your eggs in one basket (or one memory card!). Most storage devices have SD and CF slots for direct download, which means you can leave the laptop at home (and make more room for the duty-free rum!). I hate wearing a camera strap around my neck; it feels bulky, bounces all over my chest, and it’s a dead giveaway that I’m no local. Wearing a strap is important though if you want to keep those expensive DSLRS from falling over the Great Wall of China, or shattering against the cobbled streets of Venice. The BlackRapid RS-Sport Exteme Strap is ideal for any travel photographer. Not only does it conveniently keep your camera at your waist for easy access, it also has bumpers so you can lock it into place and prevent the typical knicks and scratches most camera’s return home with. This one is essential for your comfort and your camera’s safety. 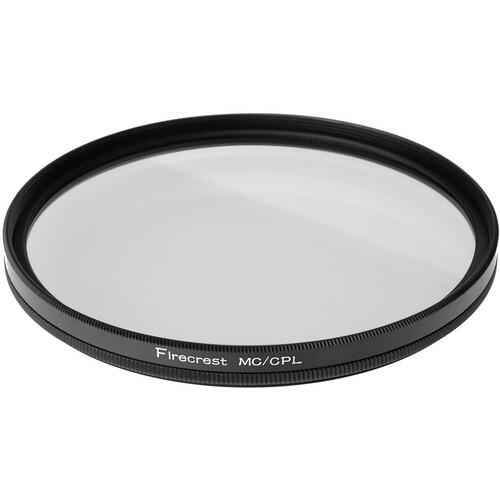 If there is only one item you get off this list, let it be a polarizing filter. It will capture true sunset colors , rain-torn skies, and crystal clear ocean water while also preventing reflective glare. Let this be a back pocket accessory wherever you go. We recommend Formatt, as we have never had any issues, and the build quality is solid.